The complete AproDerm® Range of Emollients are suitable from birth and by prescribing and switching patients to AproDerm®, you can considerably lower the costs to your practice and CCG on your current emollient spend. 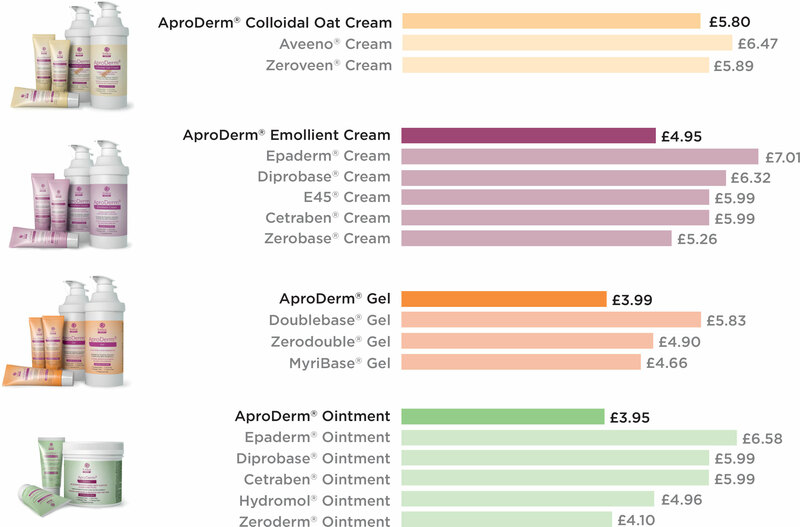 The chart compares prices of AproDerm® emollients against similar prescribed products. To see how much your CCG or practice can save click on the fontus saver button.